Although there had been some postal or messenger services in earlier times, it was with the start of the Victorian era that the Royal Mail really got under way. 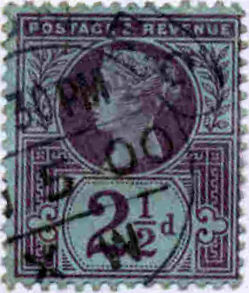 Rowland Hill established a uniform postal system by which a letter could be posted any distance for a standard price. 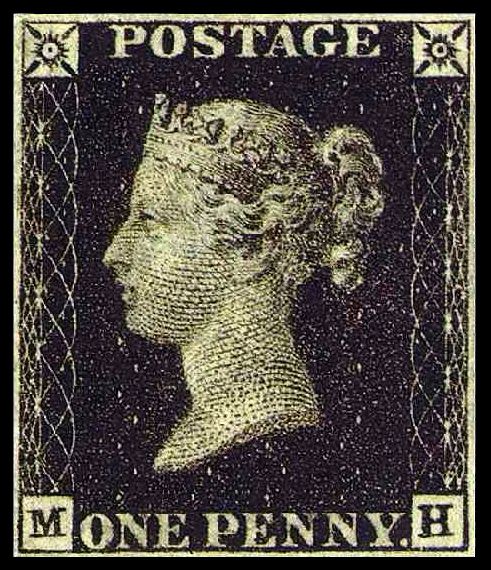 In January 1840 the Uniform Penny Post started, the fee being 1d (1 penny) for letters or 2d if the letter was collected from the writer and delivered. 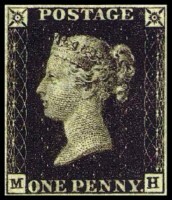 In May, the same year, the first adhesive postage stamp, and probably the most famous, was introduced, the Penny Black. 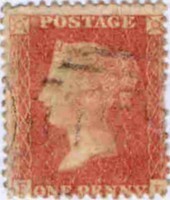 It soon became apparent that black had not been a good choice of colour, as it was difficult to see a cancellation mark, and it was soon changed to a dark red. 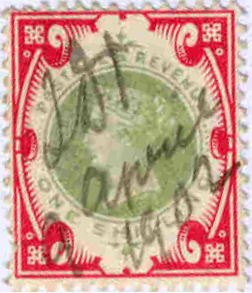 The Penny Red was to continue for decades. 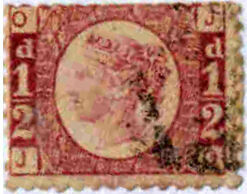 There were many changes and improvements made inclusing the introduction of perforation in 1854 and embossing in 1847. 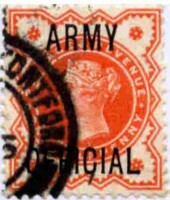 The easy access to the postal system led to rapid expansion in the use if the service. 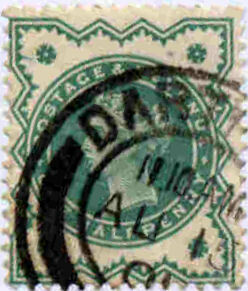 In 1839 about 76 million letters were sent, whereas by 1840 it more than doubled to 169 million. 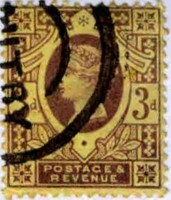 By the end of the Victorian era, 1901, 2.3 billion letters and 419 million postcards were being sent annually. 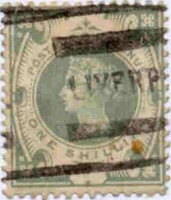 As early as 1838 the first Travelling Post Office between Birmingham and Liverpool was introduced on the railway, while Brunel's Great Western steam ship was taking the mail across the Atlantic. 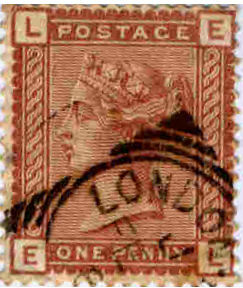 The first pillar box was introduced in 1852 on Jersey, and in London in 1855. By 1870 postcards had been introduced, although they were only to carry writing, as picture postcards were not permitted until 1894. 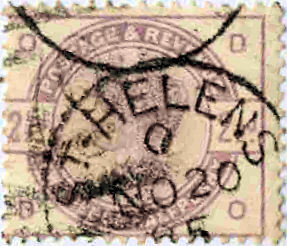 Postcards were cheaper to send than letters. 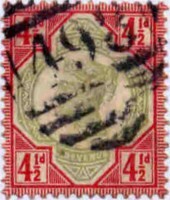 Obviously this is just a brief synopsis of the development of the postal service, and for those with an interest can be a fascinating study. Below are shown some of the stamps of the period, with a few details. 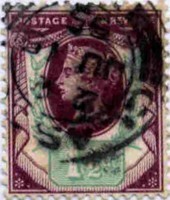 As I am not a philatelist, the information is sparse, and if any reader is able to supply greater detail it would be appreciated. 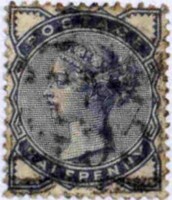 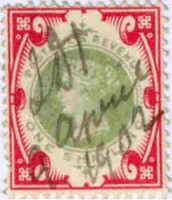 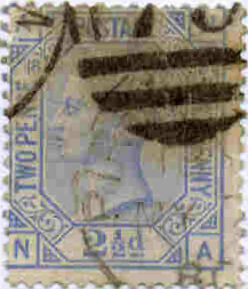 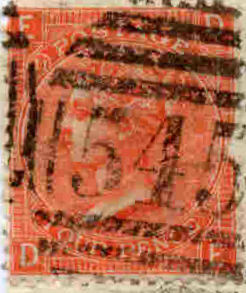 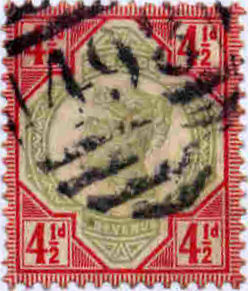 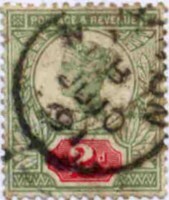 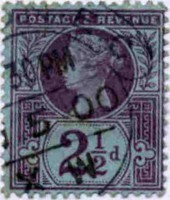 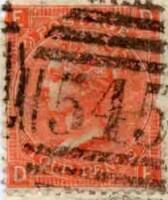 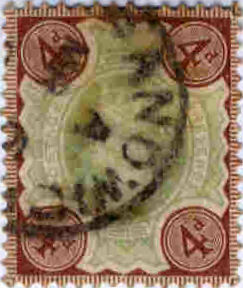 The figure given as the value is the lowest price at which the stamp would normally be obtained, and clearly for a stamp in good condition the value could be much greater.